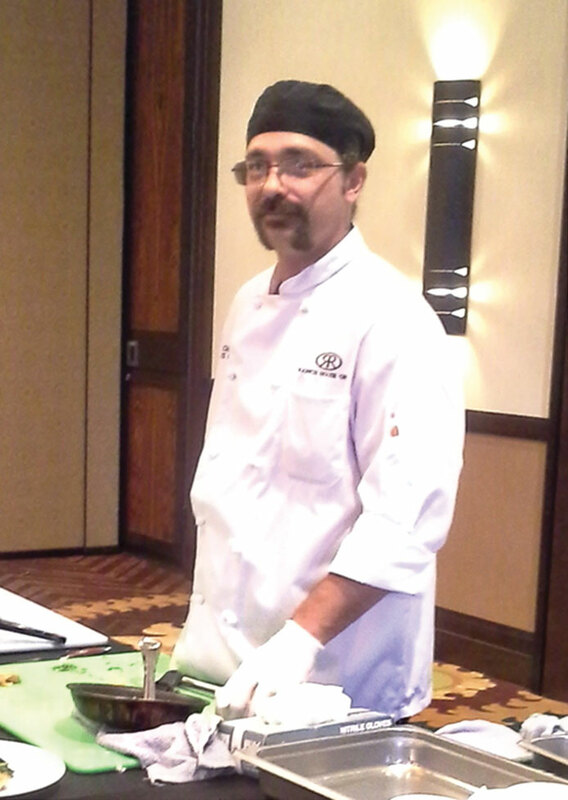 Chef Ben gave a cooking demonstration at the Ladies Social Club meeting. The Robson Ranch Arizona Ladies Social Club held its monthly luncheon meeting on June 10, 2015. After a short business meeting the members enjoyed a cooking demonstration by Chef Ben, the sous chef for the Ranch House banquet department. The menu for the luncheon was pan seared salmon filet with roasted garlic spinach and buerre blanc sauce and crème brule. Chef Ben wowed the members with an unbelievably easy way to skin a whole salmon filet. He then demonstrated each step in the creation of the entrée, including roasting the garlic and making the buerre blanc sauce. 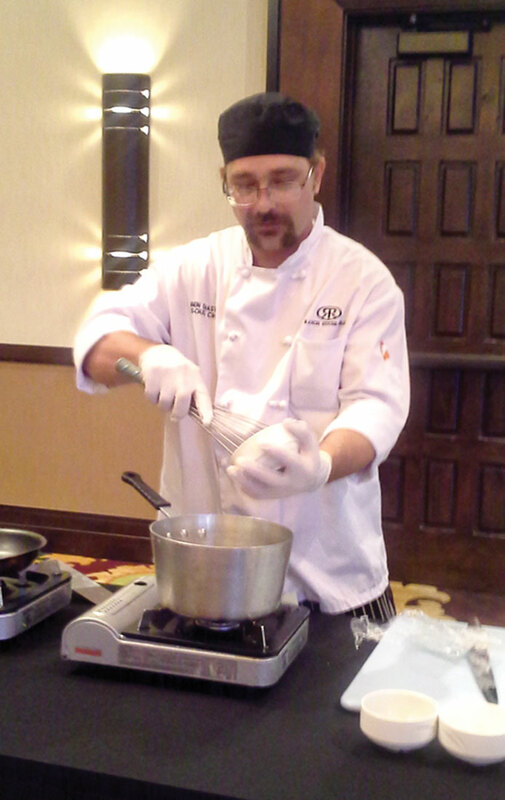 While members enjoyed the salmon he demonstrated the preparation of crème brule, blow torch and all. His suggestion to torch the sugar in a pan and drip it onto the custard was a great lesson. Ben took member questions throughout the demonstration. The Robson Ranch Arizona Ladies Social Club meets on the second Wednesday of each month. It conducts a raffle each meeting with 80% of the money collected going to one of the three charities selected to support for the year. Home of Hope in Eloy recently received a check for $253 from raffle donations collected in the first four months of this year.